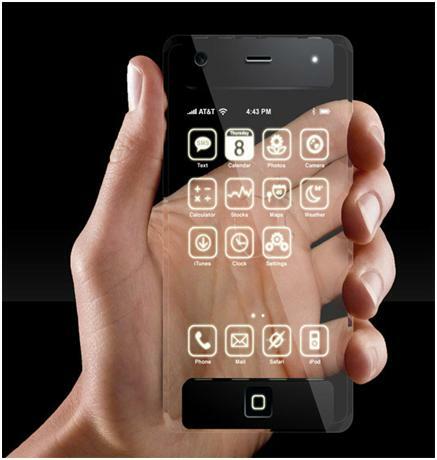 Do you still thinking of HTC, Blackberry, iPhone 4 and every latest gadget in town, think again. The new going to be tremendous revolutionizing the technology. iPhone 5 is an Invisible Phone, watch the introduction video of iPhone 5 and see iPhone 5 Picture, which is going to change your life via new technology. “iPhone 5 this is going to change everything all over again, again”. We already told you that iPhone’s next iteration –the iPhone 5G can showcase an 8MP camera with Sony providing the lens module and 4G network support. Accordingly, the iPhone 5's preview video after the break is totally mind boggling. See the above iPhone 5 Picture. It is more than what we think of Pranav Mistry’s sixth sense, hell yeah, this was totally “revolutionary”.